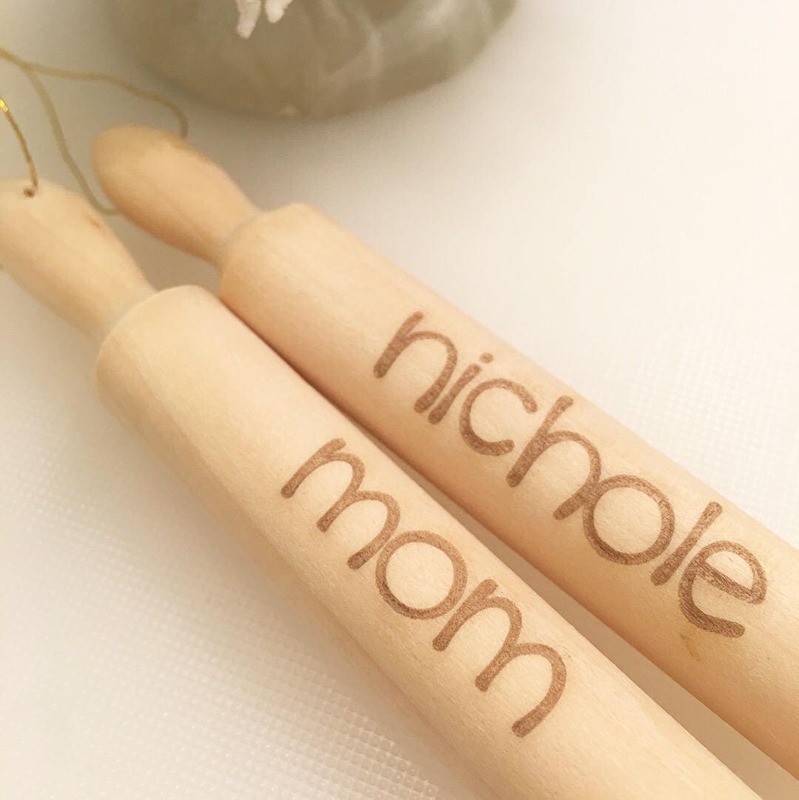 How adorable are these custom, laser engraved mini rolling pins? 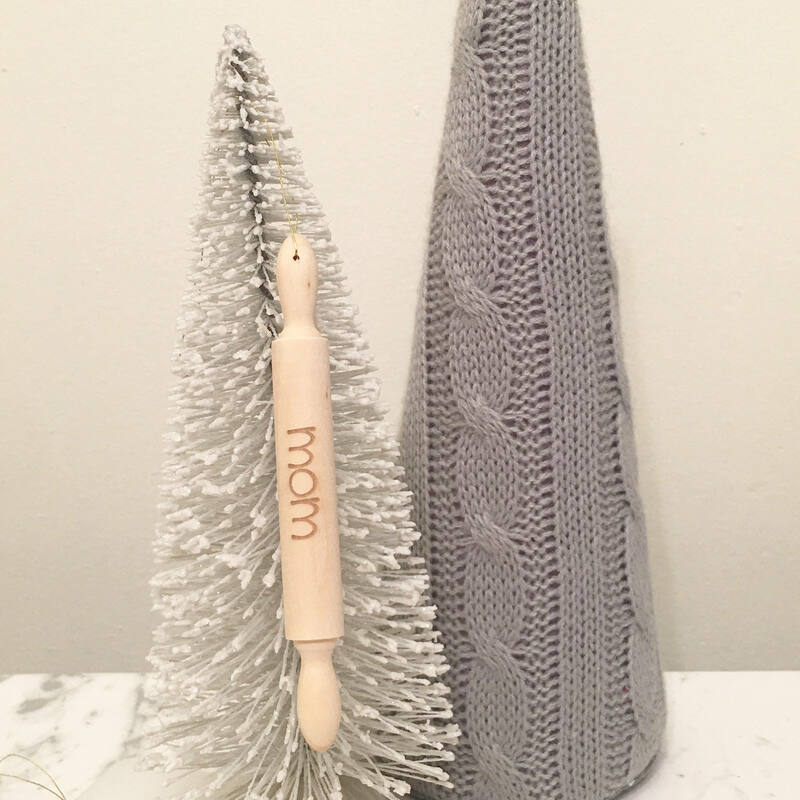 These make the perfect gift and you can hang them in your kitchen all year round as decor and on your Christmas tree! This listing also includes the option of adding a white gift box so your gift is ready to wrap when it arrives. 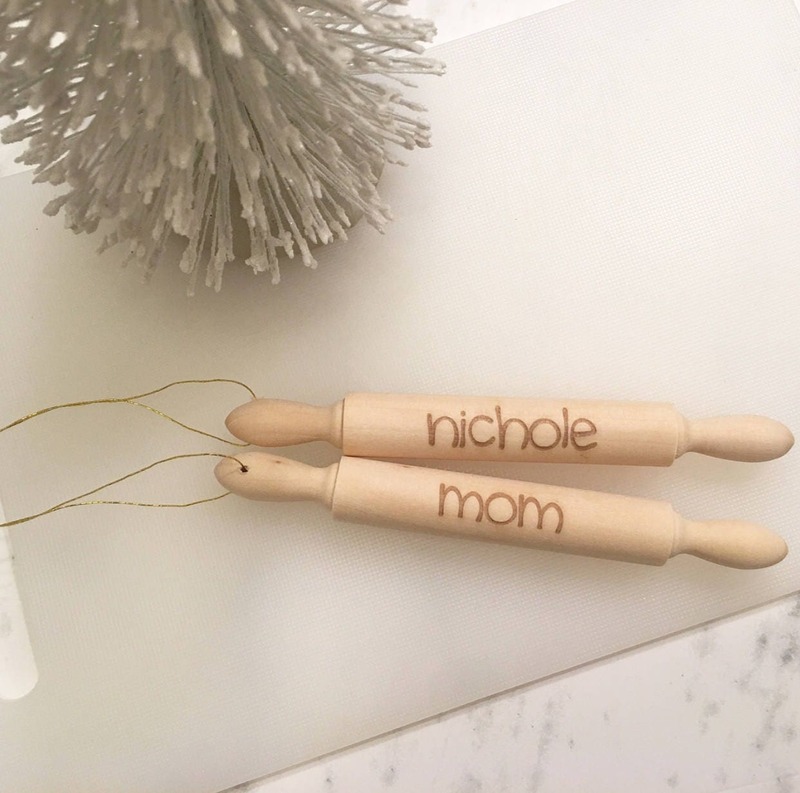 * Options: Choose from just the custom engraved rolling pin, or the custom engraved rolling pin with a white gift box. 2. 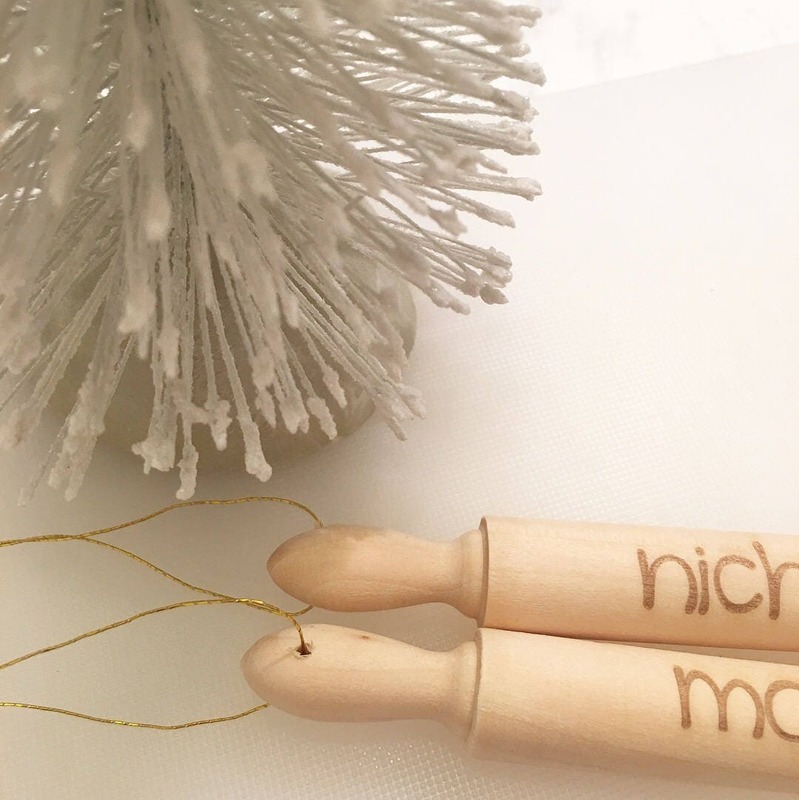 Select your options: Choose from just the custom engraved rolling pin, or the custom engraved rolling pin with a white gift box. 4. In notes at checkout indicate the name you would like on each rolling pin. 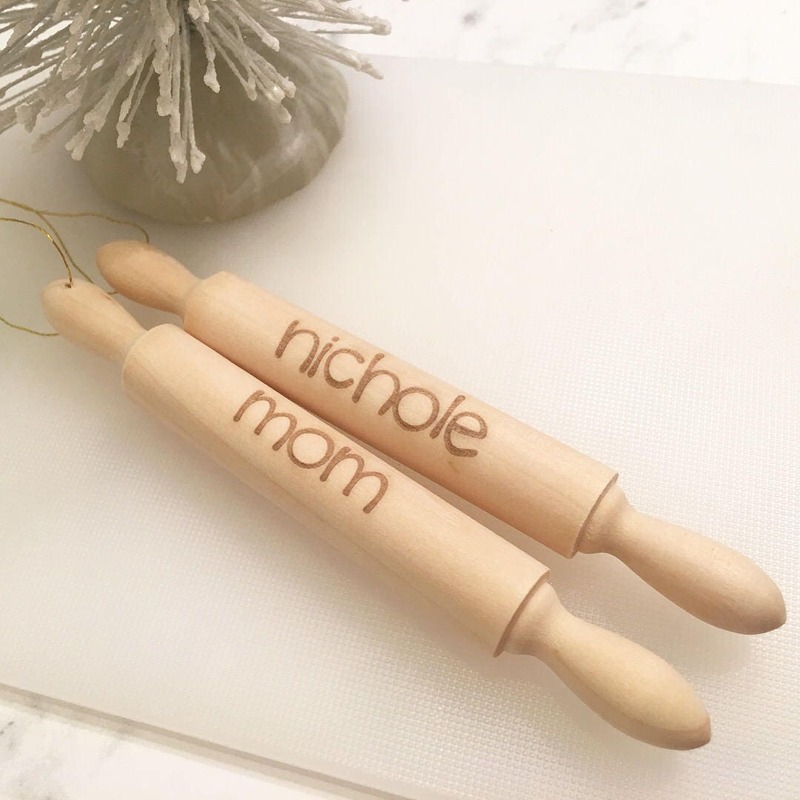 Your rolling pin(s) will be engraved exactly as photographed replaced with your custom requested name(s).